As the Marketing Coordinator for Admission Control, I could not be more delighted with the incredible site you've created for us. As a nonprofit organization reaching out to high school students, we needed a website that would be fun to visit, well-organized, and easy to use. Not only is the site for students, it's also for parents, teachers, administrators, donors, community partners, and more. Therefore, we needed a site that looked professional, but was also exciting and fun. All of our expectations were fulfilled and exceeded! Everyone who comes to our site pays us compliments on how impressive it looks. Students and parents are able to find the information they need about our program quickly and easily. The colors are bright and give visitors a sense of how much fun we like to have here at Admission Control. In part due to our fantastic website, our program is growing by leaps and bounds. We have also enjoyed working personally with you and your company. 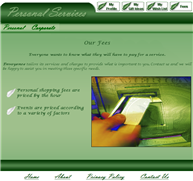 We were novices when we first started planning the site, but we always received kind and courteous assistance. Our site has been safely protected from viruses and consistently updated in a timely manner. You have made our lives much easier and our organization more successful. Thank you so much! I would highly recommend Virtual ArchiTechs to anyone looking for creative, professional, expeditious work. We're looking forward to working with you in the future. 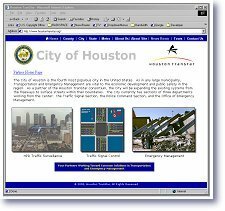 As the Executive Public Information Officer for Houston TranStar, I want to take this opportunity to sincerely thank you for assisting me effectively execute my information dissemination efforts to the news media, elected officials, transportation industry professionals and citizens of the greater Houston region. 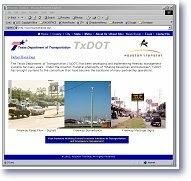 I have received nothing but praise for the look, feel and timeliness of the information disseminated from the Houston TranStar partnership and am totally convinced without newsrouter.com, my job would be a much more laborious and time-consuming process. Therefore, I am going to highly recommend the services of newsrouter.com to any government agency, private corporation or community-based organization interested in having their information disseminated quickly and professionally. I can make this recommendation because without a shadow of a doubt this is by far the most impressive and cost effective information dissemination tool I have ever employed or experienced. For this piece of mind, I again want to thank for your assistance and for making a major part of my job a truly enjoyable and pain-free experience. I wish you and the team at newsrouter.com much success and keep up the excellent work. Your Source for Free Federal Tax Law Research - Tax Cases and IRS Materials. 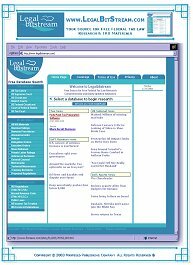 Loretta Nemer of Virtual ArchiTechs, Inc. has done a fantastic job creating our website, www.legalbitstream.com . Legalbitstream is a free searchable database of Federal Tax Law, including Federal court opinions on tax issues, and IRS documents. Although freely available for use by the general public, the subject matter of the site tends to be more popular with tax professionals. As a professional oriented site, it was important to choose the right web site designer for the job. Loretta was referred to me by a mutual friend. After examining other sites she designed, it was apparent that she had a flair for creating professional sites. The websites were attractive, tasteful, and functional - a perfect combination for respectful business - type sites. Even the non-business sites she designed seemed to have a perfect match for the look and function of the site to the subject matter of the sites. Loretta was eager to start, and produced a nice looking site within a short time. She was timely, always available for consultation, and willing to work diligently through any obstacles. I highly recommend her services to anyone who wishes to have their own website or anyone who wishes to improve the look and function of an existing site. I want to thank you for developing NewsRouter. I love it! It has freed me up to access my information center and email lists from any computer! As you know, it is critical on a missing child search that I am able to contact the other volunteer searchers and, of course, the media. I have found NewsRouter to be easy to use and perfect for my needs. Im sure many others have, or will, too! Also, I want to thank you for your outstanding work on the Houston Regional Amber Plan website and interactive Amber Alert system. As Ive told you before, ours was the first in the nation and the National Center on Missing and Exploited Children recommends us to other communities as the site to emulate when starting an Amber Plan. I feel certain that our user-friendly system has enabled us to become the most successful Amber Plan in the country! Thank you for devoting your time, talent and energy toward the issue of missing children. It has truly made a difference. Your representative to carry out your Mission. Your ambassador to execute your Interest. I can't possibly thank you enough for setting up my website and doing such a remarkable job. I truly appreciate your help. You did an excellent job in capturing everything just as I wanted it. I will be forever grateful to you. I am so glad we met and have had the opportunity to work together. Newsrouter is a great tool for emergency management. We use Newsrouter to keep the press and public informed on upcoming and current situations facing our area. Newsrouter provides excellent customer service an easy to use web interface. Newsrouter helps our office get the message out with the up to date media list and our own custom lists. We are able to quickly send out messages or news releases. Its so easy to use, just choose youre target audience and type or paste youre message in the text field and send. Newsrouter is our choice for quick, easy and reliable media and special list email notification. 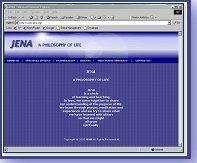 The beautiful web site you created for JENA has drawn praise from many that have visited it. 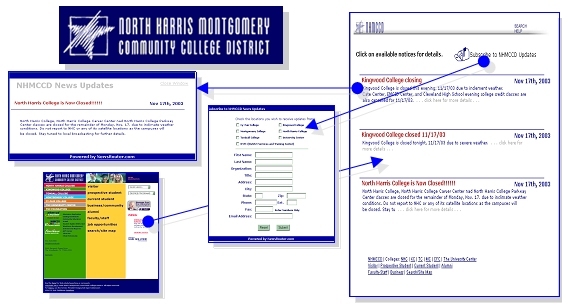 The colors and format are pleasing to the eye, the entering and visiting the data, and the fore-thought you gave in preparing our web site for continual addition of data in the years to come, is truly outstanding on your part and speaks volumes about your computer skills. Again, Thank You for being professional, efficient and creative in creating the JENA web site in a timely manner. We help more than 200 oil/petrochemical companies worldwide communicate with the media and public during crisis events. When Dow Chemical (www.dow.com) in LaPorte, TX needed a fast, reliable method to distribute its news releases, we recommended Newsrouter. Its shared distribution lists allows Dow to not only reach the news media, but Dow's industrial neighbors, community groups, local elected officials, hospitals and nearby schools that may be at risk from a chemical release. We can easily modify the layout of a client's Information Center website to give it the same "look and feel" as the client's corporate website. Law enforcement agencies can request activation of the Emergency Alert System (EAS) so radio, TV and cable outlets can broadcast Amber Alerts about abducted children. 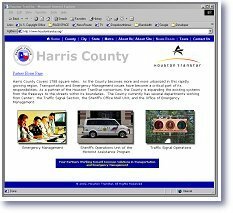 Houston was the first Amber Plan program nationwide to develop a complete Internet-based system designed by Loretta Nemer. Police can log in to a secure website to input information and a photo of the abducted child. The Amber Alert is approved and broadcast by our primary EAS station, KTRH-AM 740, then e-mailed to other radio/TV stations, law enforcement agencies, and Amber Plan business partners in our 13-county region -- or statewide if needed. 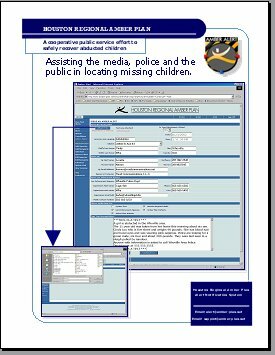 Our Amber Plan website is not only a critical communications tool, but a valuable online resource for parents about preventing and responding to child abductions. 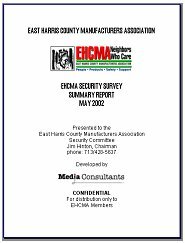 After September 11, EHCMA wanted to survey its 125-member petrochemical plants to benchmark their security capabilities and "best practices", so we designed a 125-question survey covering 12 critical areas. Loretta Nemer at Virtual Architechs designed the database to input the data, tabulate the results, and provide the demographic breakouts that EHCMA needed. Loretta was wonderful to work with: very thorough, professional, and responsive to our client's needs.